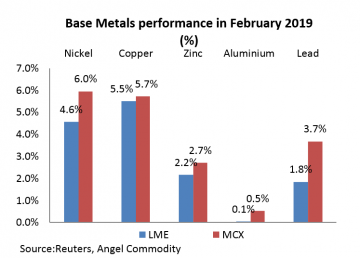 Base metals got a good start in 2019 and February was no different with Nickel & Copper being the highest gainers. The red metal, Copper, is also off to go great start in 2019 by gaining over 5 percent. Copper has rallied over 11 percent on the LME and over 13.5 percent on the MCX in the first two months of 2019. The primary reason behind the rally in prices has been the easing of trade tensions between US and China. Prices were further supported after supply disruption in Chile, the top producing Copper nation and relatively tight spot markets in China. The tariff war remains the major factor behind the prices of industrial metals. Trade issues between US and China had dampened the global growth prospects as they are the biggest economies in the world. US and China have been at loggerheads over trade and tariff issues for most of 2018 which resulted in to drastic fall in metal prices. However, situations seem to have been changed at present with Trump postponing the tariff hike which was scheduled for March 1, 2019 signaling towards reaching a deal with China over trade. Declining Copper stocks on the LME has been a boon for the red metal in 2019. LME Copper inventory is currently at 21,600 tonnes, the lowest levels in approximately 14 years. 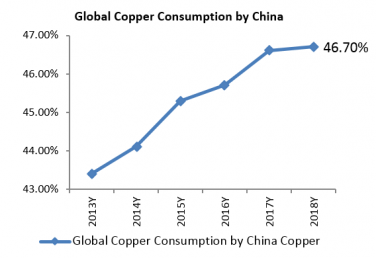 China is the biggest copper consumer, it consumers around 50 percent of the global output. China imported a record amount of refined copper in 2018, 3.75 million tonnes, and the country's appetite showed no signs of diminishing in January. The US Federal Reserve in its meeting scheduled on 28-29th January 2019 promised to be “patient” in the rate hikes due to its impact on the global economy and uncertain trade backdrop which shifted the markets sentiments for risk assets further. The Fed hiked rates four times in 2018 which had a severe impact on the global economy. Therefore, US Federal Reserve’s Chair Jerome Powell stated that considering the global economic conditions he has planned to halt their monetary tightening policy and decided to keep the rates unchanged (in the range of 2.25 percent - 2.5 percent). However, considering the strong growth in US economy FED might hike rates once in 2019 which might push the Dollar higher and make metals expensive for other currency holders. Gains for Copper were restricted as slowdown in China’s economy was evident from the recently released PMI numbers. 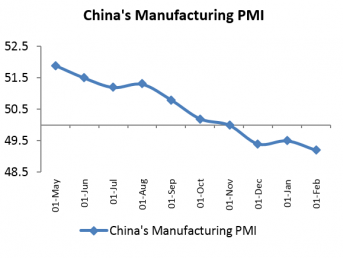 China’s manufacturing sector Purchasing Managers Index (PMI) contracted for the three straight months in February 2019 to 49.2 while the January 2019 PMI was at 49.5. (The 50-point mark separates expansion from contraction on a monthly basis) confirming signs of slowdown in the world’s biggest metal consumer, China. Moreover, China’s economy grew at a pace of 6.6 percent in 2018 which was much lower than expected by the government. According to Premier Li Keqiang, China is targeting economic growth of 6.0 percent to 6.5 percent in 2019, less than GDP growth reported last year. Slowdown in the world’s largest metal consumer weighed on the base metal prices. In January 2019, the global Aluminium smelter output was at 5.30 million tonnes, the lowest since November 2017. Aluminium output in China severely declined as the Chinese manufacturers were struggling in the face of weak domestic demand and low Aluminium prices. However, production scenario might correct in the coming months. The world’s top Aluminium smelter, China’s Hongqiao Group, announced that it has resumed production in the end of January’19 post the expiration of some government-mandated production curbs. Some of the restrictions on Hongqiao’s winter production were to run for four months from mid-November 2018 to mid-March 2019, but certain production curbs were only applied from December 2018 to January 2019 which might increase output. Moreover, Brazil-based Norsk Hydro announced in mid-January 2019 that its Alumina refinery, Alunorte (around 9 percent of Global Alumina output) has received its approval from the Brazil's authorities for safely resuming normal production. Even US had lifted sanctions on Russian based Aluminium producer, Rusal which further increased Aluminium supply in the global markets. 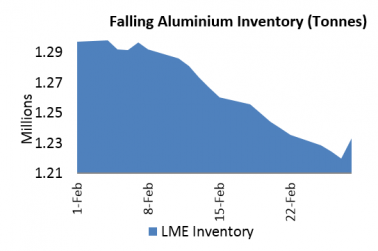 In contrast, LME Aluminium inventory have been falling in February 2019 (Alongside chart). However, the prices haven’t reacted much to the falling inventories as increase in global Aluminium supply has kept prices in check. The easing of tensions between two biggest Commodities consumers’ i.e. the US and China, US Federal Reserve dovish stance on interest rates, low inventories on the LME will be the driving factor for Copper prices in the near term. A note of caution for longs in Copper as the optimism over trade tensions have already led to rising copper prices and are currently trading at 2019 highs facing stiff resistance. Any move from here would be catapulted by how the dollar index as well as rupee behaves. 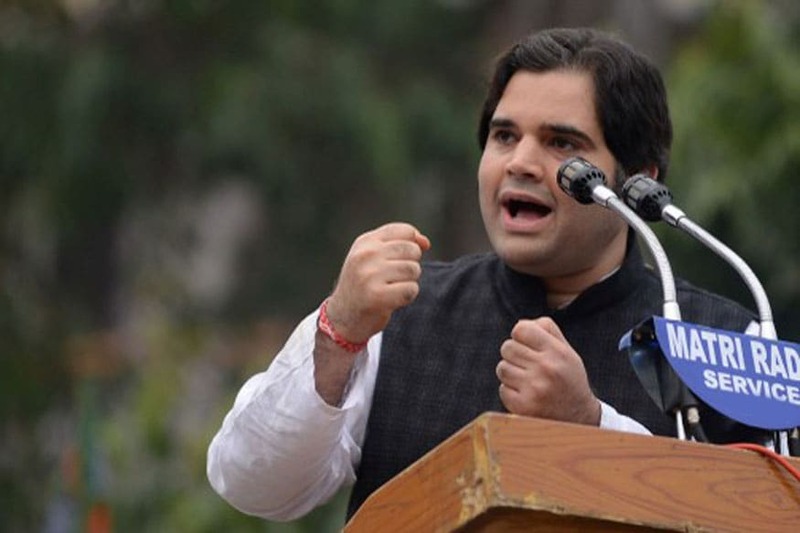 We expect Copper prices on the MCX to move higher towards Rs 475/kg mark and from thereon it might correct lower towards Rs 455/kg mark in a month time frame. Dollar index has been rising for most of February 2019 on anticipation that US and China’s trade ties will improve as the negotiation between these two super powers are going at a smooth pace. Moreover, possible increasing supplies of Aluminium from top suppliers and increasing smelting capacities in China are an indication that the falling trend of the metal will continue in the months ahead. However, hopes remain that top officials from China are widely expected to announce more support measures such as sweeping tax cuts to reduce the strains on the economy which might boost prices in the short term. Moreover, China’s automobile sales fell for a seventh straight month in January 2019. Sales dropped a steeper 15.8 percent from a year earlier to 2.37 million vehicles last month. That followed a 13 percent drop in December and a 14 percent fall in November. Since Vehicle sales have been falling consistently for the past so many months, hopes of Aluminium prices to rise remains dull. 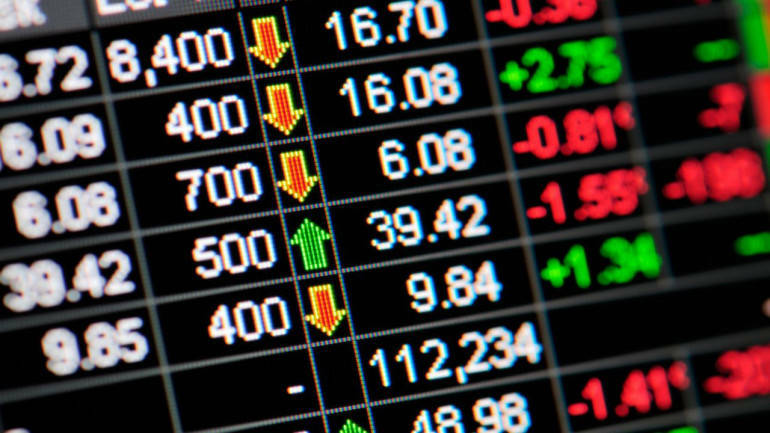 The trend of this metal has been lower for consistently for five months in a row and the weakness will continue for next two months as we expect Aluminium prices on the MCX to move lower towards Rs.130 mark.